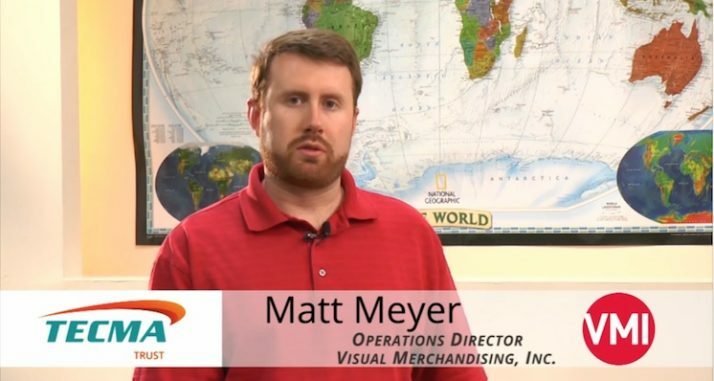 Matt Meyer is the vice director of operations at Visual Merchandising, Inc. of Broomfield, Colorado. He has worked for the company since April of 2007. Prior to joining VMI, Mr. Meyer was a mechanical engineer at KoalaPlagroup/SCS, and was involved in the design of waterpark attractions. Matt Meyer is a May 2003 graduate of the Colorado School of Mines, where he majored in mechanical engineering and minored in economics. While at CSM, Matt played three years on the school’s varsity basketball team. Outside of work he serves as the president of the Applewood Men’s Gold Club. Matt Myer is originally from Akron, Colorado. His family includes: father, Tom; mother, Becky; and sisters Tara and Cassie. Since we began manufacturing in Mexico with the Tecma Group, we have become more competitive by decreasing lead times when compared with our China competition.